OVERLAND PARK, KANSAS, and LONDON, U.K. (August 22, 2016) – Responding to increasing demand for flexible, open source and cost-predictable cloud solutions, QTS Realty Trust, Inc. (NYSE: QTS) and Canonical (the company behind Ubuntu, the leading operating system for container cloud, scale out, and hyperscale computing) announced today a private, fully managed OpenStack cloud solution available from any of QTS’ geographically diverse and highly secure data centers in mid-September. Building software-as-a-service applications, either as new developments or as improvements upon existing solutions. Serving as a base for delivering self-service storage and service on demand to users who need IT services. Delivering object storage or block storage on demand. Saving on licensing fees associated with virtualization technologies. In addition to the Private Cloud Offering, QTS offer a public, multi-tenant pay-as-you-go OpenStack cloud solution that is self-provisioning, elastic and highly scalable. The new OpenStack solution is an important addition to QTS’ expanding portfolio of scalable, secure and compliant IaaS solutions and complements other QTS’ purpose-built clouds serving public sector, healthcare and enterprise workloads. 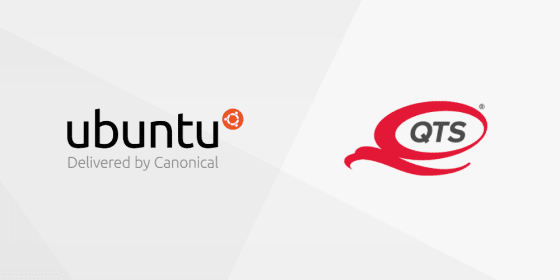 The fully managed cloud solution is being previewed at OpenStack East in New York City August 23-24 at Canonical booth # H12.